Published author and certified public accountant Daniel Gordon, provides a his expert insight through our Business Bookkeeping Services Blog. Many of the articles posted on our website can also be found on various lawn care industry magazines and website platforms. Daniel’s expertise comes from his 20+ years in the Lawn Care and Pest Control Industry. Our Accounting and Bookkeeping Services Blog topics include, bookkeeping, accounting, budgets, key performance indicators (KPI), return on investment (ROI), growing your lawn care business, starting a lawn care business, selling your lawn care business and more. This page will be updated regularly so please make sure to check back often!! Lessons learned from the 2017 employee compensation survey. Designing effective compensation and benefits packages are paramount in contending for the best talent in today’s competitive labor market. See how your company compares! Operating Cost study of 2016, provides the lawn and land company’s strengths and weaknesses compared to others in the landscape industry.This report helps business owners make more informed decisions to grow and prosper. The most sweeping tax reform act since the 1986 overhaul put forth by President Reagan has been signed into law. 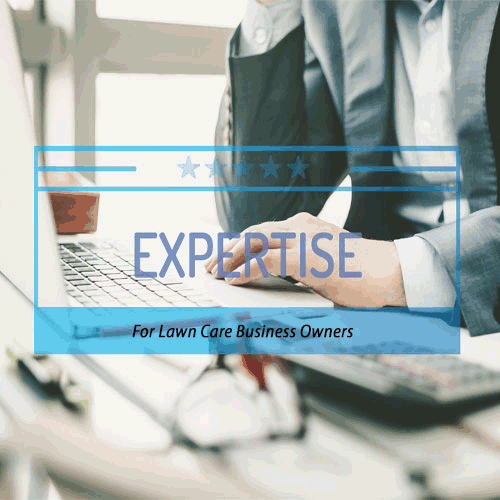 No matter what side of the political spectrum you come down on there is a lot here to digest so here is a rundown of the most relevant new tax law provisions affecting Lawn Care business. As we approach tax season, there are requirements that need to be met by businesses in order to be in full compliance with the law. Know the 1099 deadlines your business needs to comply with. The decisions we make in our lawn and landcare business for 2018 will be based on 2017 from the info found in our financial statements, Data must be clean and accurate to plan for next year. Take advantage of our year end accounting tips! There are a variety of ways to legally organize a Landscape business. Learn more about the structure choices landcare business owners have. What’s difference between a Sole Proprietorship, Partnership and Corporations? We’ve got the breakdown! Your business dashboard provides Financial and operational information to help us track progress & make decisions, Make sure your lawn or landcare business dashboard is set up well! Collections is not a 4 Letter word! It’s a part of managing a lawn or landcare business. We all have bills to pay! Learn how to collect money and get paid! Create success within your Landcare Business Opportunities. Being a business owner isn’t always a glorious job, but this industry is ripe with opportunity!